Not everyone can handle a heavy bass. Fortunately, with the ever-growing development of new music genres, the true power of bass is getting its’ well-deserved recognition. That’s a reason we need to find Best Bass Headphones available to buy. Punchy and ground-shaking bass unveils the true strength of music we are listening to and helps us experience the movies we watch with the same power. With this in mind, The Best bass headphones are not easy to find, especially over the internet. You have to hear how they work before you can take them home. 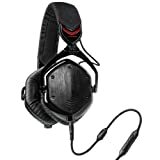 Luckily, we compiled the 15 Best Bass Headphones list, highlighting their main features, advantages, and disadvantages, in correspondence to different budget options. 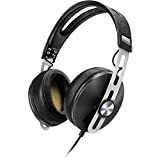 Continue reading this article to find your best bass headphone match and read more about how to choose the best bass headphone. Which One is your Personal Favorit Bass Headphone? Select any 3 or add yours. Monster Inspiration comes in two versions. The first one is with passive noise isolation, while the one we review sports active noise cancellation technology, which juices two AAA batteries for steady performance. 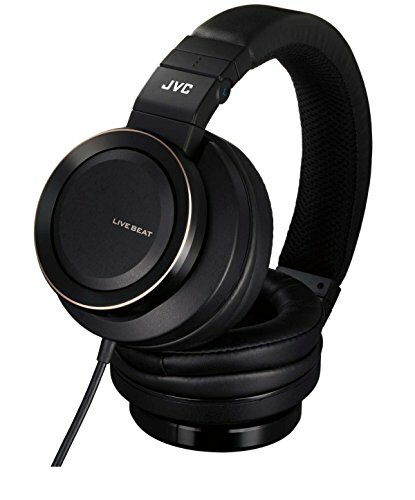 There is a lot to praise about these headphones, and the virtue the most worth mentioning is that they are affordable. What makes them look gorgeous and uncommon is the space gray texture on the ear cups, a rare color common mostly on Apple’s flagship Macbooks. What is unusual are the square ear cups. However, they naturally lay on ears, serving as the perfect over-ear headphones. Both active noise cancellation and the passive one is effective. In terms of build, the headphones are durable, yet quite bulky. We find that with 10.6 ounces (300 grams) weight, they appear to be too heavy. Luckily, the cushions are very convenient. However, listening to too much will make your ears sweat. Understandably, headphones deliver punchy and detailed bass with prominent mids and detailed highs. The vocals sound clear and vivid, while the instruments are there to add more details. There is a minimal sound leakage, less than with the competition, while the listener is completely discreet with their music thanks to the active noise cancellation. Equipped with a couple of detachable cables, each suitable for its’ own category. the compatibility with Apple and Android devices. When we add all the pros and cons, Monster Inspiration is a great headphone with advanced bass features. Whether are you a DJ at the beginning of your mixing career, or a music/multi media school attendant, a budget-friendly model from Yamaha is a great help in starting off. Yamaha features an over-ear, closed-back design in its’ CM500 model, hence we are deeply grateful for the superb sound isolation it offers. At 1.1 pounds (498 grams) you will find these headphones nowhere near light for the mobile user. Ideally, you have a music studio where you put their powers to test. The build is, obviously plastic, while the wide layer of ear cushions falls naturally over ears and prevents sweating, making these headphones quite comfortable. the lows are quite effective, punchy and dynamic. The wide soundstage sounds quite detailed, clear, and more importantly discreet. Given the advanced sound isolation, the headphones are eligible for various different genres and don’t have a problem recognizing it and adding more details and crisp to the output. a 3.5mm (¼”) adapter, meaning that the headphones are compatible with the latest stereo devices. Ideally, if you don’t work in audio studios, you want to listen to these in your bed. It is also important to note that headphones have a large, sensitive microphone, so if you aren’t bothered with the hefty size, you can use them to make calls, or even participate in gaming raids with your friends. The possibilities are countless. Sennheiser HD 201 is like a bullseye that you are never expecting. 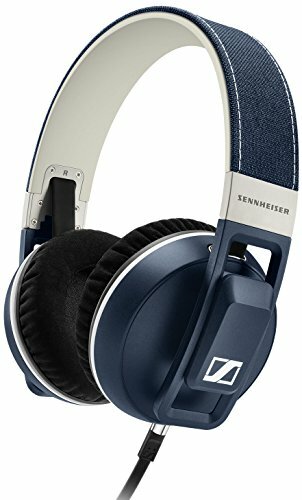 Sennheiser is known for delivering high-end quality for their price. However, we are sure that even they were surprised with how HD 201 performs in real-time. The headphones look quite stylish, especially with their over-ear, closed-back style. The ear pads are covered in a deep layer of leatherette material, supported with the foam to deliver more comfort to the ears. In addition to that, headphones weigh 8 ounces (226 grams), meaning you won’t really notice them on your ears, thanks to the strategically planned design. 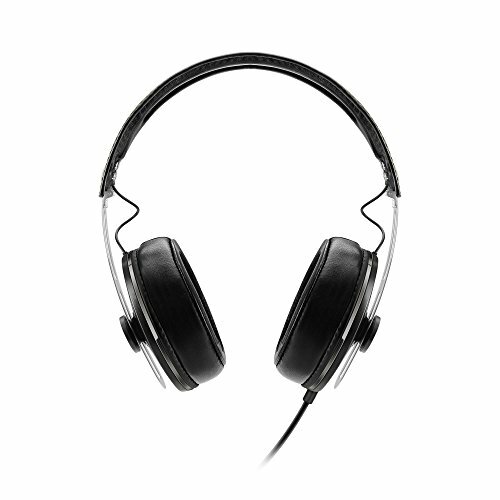 The headphones also swivel, being ideal for the DJs who want to get the best of the headphones’ quality. Despite being enormously budget-ranged, HD 201 is a durable headphone. Given that DJs often give their headphones a little abuse, these can last even after falling from a meter height. Unfortunately, the cable is not detachable, but there is a gold-plated, screw-on ¼” (3.5mm) adapter which easily plugs to the 1/8” (6.35mm) one. Given these parameters, Sennheiser HD 201 is compatible with the vast majority of stereo music broadcast devices. The performance would offer a higher price tag than the headphones originally suggest. The bass doesn’t sound as natural as with the competition but it is still punchy and tremendous. The soundstage is rich, balanced, and detailed, eligible for all genres that you throw on them. Unfortunately, HD 201 doesn’t come with any additional accessories, meaning you will have to take a good care on their go. However, these are the best headphones low-end budget can buy. Just like always, Sony didn’t save even on their budget headphones. 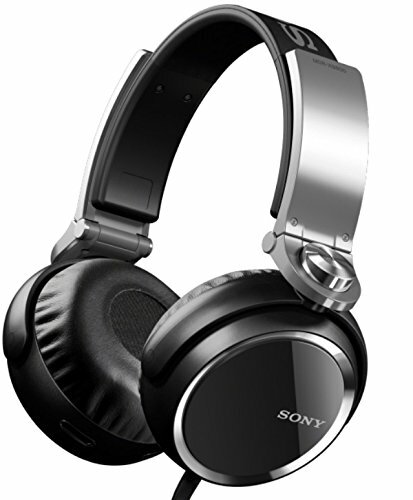 Sony MDR-XB800 look extremely stylish. The ear cups have mirroring textures with silver lines and logo at the left corner. The ear pads are made out of leatherette material and backed up with foam to offer convenient experience. There are two layers of cloth in the middle of the pads that help the driver transmit the music to the listener’s ears. The overall design is plastic, with additional leatherette material which flatters the headband so the headphones lay naturally. At 10.2 ounces (282 grams) headphones are neither light or heavy. However, they are more recommended for less mobile users. In terms of performance, we have the satisfying, distortion free melodic experience, thanks to the large, 50mm drivers that produce punchy bass, completely free of harmonic distortions. The rest of the soundstage is kind of sacrifice in order to deliver such a powerful and dynamic bass. However, the result is not that horrifying. There is still the essential crisp and treble, that audiophile expect on a high-end headphone, especially with this budget. 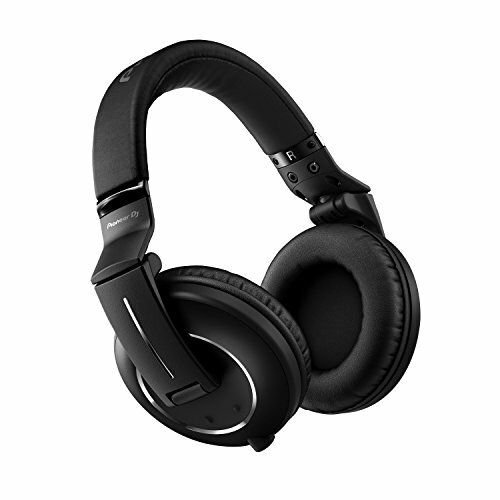 It doesn’t hurt to mention that the headphones have swiveling capabilities, meaning good for the closed-back design. The hinges under the pressure allow the headphones to swivel 180 degrees, which is great if you are a DJ. Overall, they are comfortable, stylish, but not as competent as the competition is. Beyerdynamic Custom One Pro Plus is beyond averagely sized compared to the other closed-back, over-ear models. Given these parameters, 1.6 pound (735 grams) is quite heavy when compared to the competition. Beyerdynamic had to store the large drivers and every other component which makes this model as outstanding as it is. Recommended mainly for the home and studio use, the headphone is available in black and white colors and doesn’t surprise that it is a very stylish model for a sub-$200 headphone. The whole model is covered in leatherette material so the headphones can naturally put pressure on our head without hurting us (given the weight). The metal hinges slowly move onto plastic ear cups with creative details to set the headphones apart from the competition. That being said, there are included flourishes which you can apply to the ear cup yourself and make them look better. There are eight pictures, but you are allowed to buy yourself the ones if you aren’t satisfied with what you got. Moving on to the ear pads, they are also covered in a leatherette material, accompanied with foam to keep your ears cool and let the headphones breathe. Certainly, the combination of these two materials results in a better sound isolation, which is what the closed-back designs are exactly for. Needless to say, the stellar performance is what marks this model so amazing. Crafted with the best drivers, the bass is extremely accurate and punchy. The rest of the soundstage corresponds with crisp and detail. The only thing that fails to thrill us is the lack of controls which help us adjust the volume. However, the inline controls support the “next song”, call answering, and there is a super-sensitive microphone for making and receiving calls. If we put away the lack of volume controls, we can call this model nearly perfect. Stylish as always Beats Studio 2.0 definitely wins the reward for design. It is comparably lighter than the previous model, weighing at 9.2 (257 grams) ounces. They are clearly a more portable pair of headphones, used in the music industry as much as everywhere else. This version is wired, but if you are looking for a model that will set you off the wires, the wireless model is more expensive. It is important to note that the headphones are foldable, so you can take them anywhere with you. They are, also, available in a great range of colors. The black with red accent is our favorite. The powerful-looking B flatters the middle of each ear cup outside. The ear pads are made out of a thick leather. However, it is not a secret that leather makes the ears sweat. Fortunately, they are convenient enough for a good time of listening, even though you might notice their presence after hours of listening. As we tackle upon the active noise cancellation, we notice that the headphones could work properly even without it. They nicely close out the ears from the environment, but with the noise cancellation on, we are reminded of how beautiful it feels to be personal with your favorite music. The battery is recharged through a micro-USB port, though it might not be constantly necessary given that the headphones can last at least 18 to 20 hours. This doesn’t match the Sennheiser Momentum headphones but is sufficient even for the long plane flights. There is much punchier bass and treble present in the headphones compared to the predecessor. We are satisfied with the overall performance, regardless of the genre of music that is being listened to. We admire the capability to add so many details and accent to the vibrancy and accuracy, especially with the punchy bass. 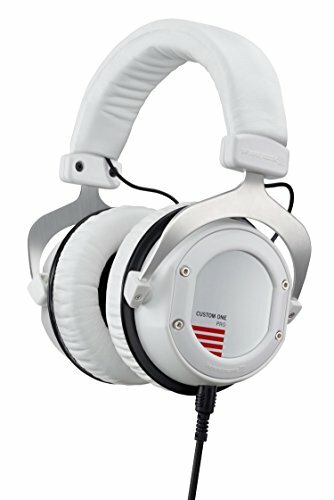 Overall great headphones for either daily and professional use. Headphones don’t work when the battery runs out of juice. Ears get a little sweaty. Audio-Technica is known for the high-fidelity headphone models that lack on nothing. A young DJ, torn between low-budget and high performance should always refer to Audio-Technica. ATH-PRO700MK2 brings along several innovations, most of all include extremely powerful and tremendous bass. The headphones are black and support swiveling gestures between 90 and 180 degrees to the size. This will appeal especially to the DJs who would like to keep the track of their mixes during the live performance. At 10.8 (300 grams) ounces, the headphones are not the lightest model you see, hence recommended for less mobile users. The ear cushions are made out of thick leather and foam. Also, it is important to note that the closed-back build of ATH-PRO700MK2 contributes to a better sound isolation, which lets the user focus entirely on their music. The headphones are wearable. However, they are extremely far from the comfortable. Despite the thick leather cover, you can feel the pressure from the headphones. Also, the ears will sweat and get red and hot after hours of listening. The performance, on the other side, suffices the needs of regular audiophiles, addicted to the punchy and heavy bass. The 53mm drivers ensured that the flawless, stellar performance will surround your ears with a sound full of crisp and treble, free of harmonic distortion. 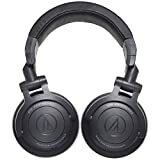 Like mentioned before, Audio-Technica ATH-PRO700MK2 is an ideal pair for starter DJs stuck in the mid-budget. Just like the vast majority of Sennheiser headphones, Urbanite XL over-ear headphones offer the uncompromised performance while looking straight out amazing. The most of the headphone is made out of plastic. However, the metal hinges make their appearance on headphones, making them look more futuristic and stylish. It is worth mentioning that the headphones are foldable, thus eligible for long trips where you can enjoy the music on the go. Unfortunately, at 1.5 pounds (680 grams) they are nowhere near light headphones, hence they are recommended for studio use. The ear cushions are very comfortable for the extended wearing and additionally, the cups provide all the necessary conditions for listening to the music in peace (sound isolation). There are two cables included with the inline controls and microphones. The company found time to build inline controls that are compatible with either Apple and Android devices, hence you can enjoy the music streamed from your favorite device. When it comes to performance, despite being closed-back the Urbanite XL offer uncompromised sound performance along with spacious, dynamic, and powerful bass. The wide frequency range offers great sound oscillations without harmonic distortions which ruin the sound experience. We haven’t found any downfalls in the headphones except the inconvenient pouch which doesn’t securely store the headphones. However, this won’t directly affect the overall performance of headphones. Denon AH-D600 is a little older model. However, its’ bass capabilities and general treble are far from outdated. Denon sports a classic black design with white accents and Denon sign etched at the earcups. The most of the headphone was made out of sturdy and durable plastic. The leatherette material covers the top of the headband so that it would genuinely lay on the head without applying too much pressure. The ear cushions are pretty large, which is commonplace for over-ear, closed-back headphones. The foam accompanies the faux leather material on the ear pads, giving the user the permission to enjoy the noise-free music in a convenient manner. These headphones are pretty heavy at 12.8 ounces (365 grams). However, you can rest assured that they won’t wear you off. Strategically set earpads and the leather covering the headband will assure you that you can comfortably listen to the music for extended time passed. There are two detachable cables with 3.5 mm adapter. Two, because the headphones sport either Android and iOS devices. Unfortunately, the support reached only to the Apple users as the controls for Android devices seem unclear and lousy which disappointed many users. Denon AH-D600 brings the uncompromised performance. The treble is highly present and the bass is pretty dominating. However, not over the rest of the soundstage. The headphones have high-detail and accuracy when it comes to the sound output. We are clearly disappointed with the performance of Android in-line controls. But, given we are giving grades for bass and soundstage, these headphones are a clear 10 out of 10. 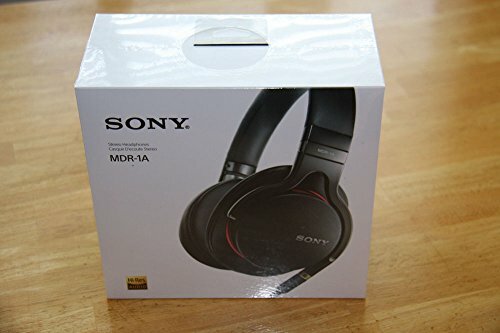 Sony released the sibling model to the MDR1R, the MDR1A headphone. The closed back, over-ear design delivers a superb sound isolation, which makes these headphones perfect for the studio and monitoring use. There are a lot of features of the MDR1A. One of these features is that headphones can rotate, but opposite than the predecessor could. If you fancy wearing headphones as an accessory around your neck, you will be allured with the superb way it rests around your neck to the shoulders. Rotating feature feels appealing to the DJs as well. The headphones come in a black color and even though they are quite large, they are neither heavy or uncomfortable. They measure only 7.94 ounces (225 grams) in weight, which greatly makes them the lightest model we reviewed in this list. The elegant pads are filled with foam and leather-ish material to make our ears feel comfortable while listening to the music. Like we mentioned above, sound isolation makes sure we won’t hear the environmental noise and that the headphones won’t leak the sound out. There are detachable cables included. Each is compatible with one great manufacturer, Apple or Android. There are also inline controls which enable you to make the calls or control the flow of your music. The headphones are the pure balance when it comes to bass and treble. The soundstage is clear, detailed, and deep, while the bass is dynamic and powerful. There is no harmonic distortion. The only flaw to the headphones is certainly the lack of enthusiasm towards the Apple inline controls (the last model we reviewed had a problem with Android inline controls). Everything else makes these headphones a worthy companion in music production. Balanced and lightweight build which results in comfort. 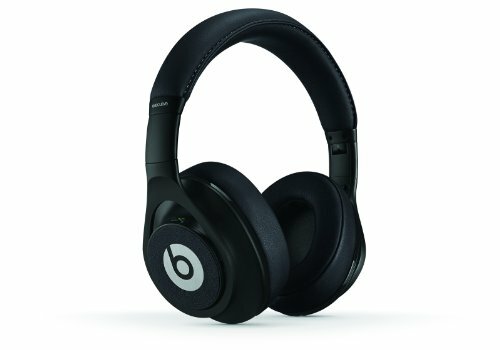 Beats Executive is a better form of all Beats by Dre predecessors. They look quite stunning, especially the over-ear design which kind of makes them larger than the competition. They have a glossy outside appearance, colored in black with the silverfish-gray B as “Beats” on each ear cup. Moving on, the most of the headphone is covered in plastic. However, there are metal hinges that are of very sturdy and durable quality. They weigh 12 ounces (340 grams) which is too much for a headphone. 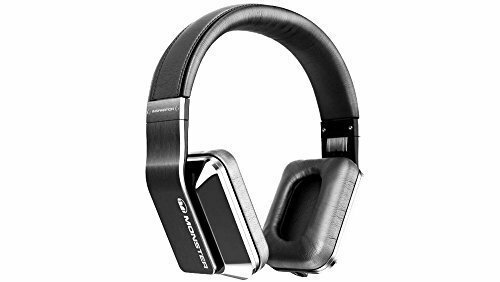 However, we should keep in mind that the headphones of this kind sport various components, including two AAA batteries that make the active noise cancellation technology work. Active noise cancellation works decently, it will redirect the ambient noise back into the environment thanks to the inline microphones. Unfortunately, the headphones won’t work without the batteries, meaning that the headphones are dependent on active noise cancellation technology. The comfort is guaranteed. Despite the heavy build, you won’t feel them on your head thanks to the cushy covers over the headband surface and ear pads. Only after a few hours, it will start to get a little sweaty and a little heavy. 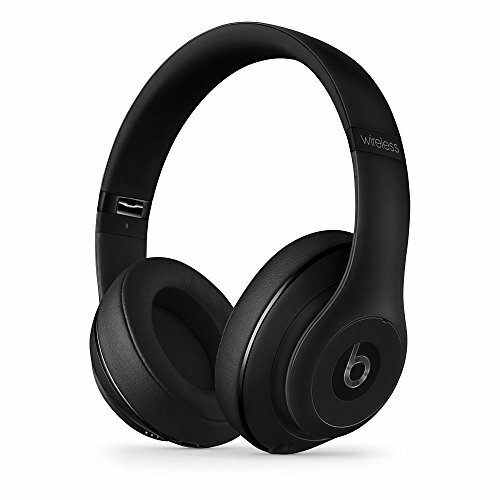 When it comes to the sound performance, Beats Executive has so much to offer. The soundstage has an emotion evoking powers. The whole unit sounds completely natural, balanced, and full of crisp. Nonetheless was the bass, dynamic, powerful, and punchy. The headphones come with two detachable cables, with 3.5 mm adapters together with the screw-on ¼” plugs. All in all, they have a lot to offer, and if you can afford them, they will be a great addition to your audio equipment. Sennheiser Momentum 2.0 over-ear headphone delivers slight improvement in portability to an already perfect Momentum series. It has a beautiful metallic design with large ear cups. It is worth pointing out that the issue of portability was addressed through lowering the weight, but also enabling the headphones to fold, thus saving a lot of space on your bag. Unfortunately, this led to Manufacturer removing the pouch, which we still find necessary. Sennheiser Momentum 2.0 comes with quite larger ear cups. Furthermore, they are asymmetrically shaped and they provide a better fit for people with larger ears and those who are wearing glasses. 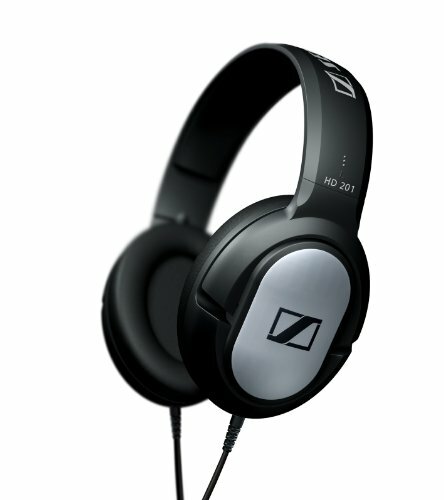 It is noticeable that Sennheiser crafted the Momentum successor more oriented towards comfort than anything else. However, that doesn’t mean that its’ performance is poor. That being said, Momentum 2.0 performs with either attitude and character. The bold, trembling bass is quite dominating and weighty, especially on the more demanding song. There is no harmonic distortion, nor interference with the mids and highs. The mids are prominent and instruments and vocals feel incredibly natural. The highs are very accented, detailed, and deep, regardless of the genre, the user is listening to. Sennheiser Momentum 2.0 allows you to cross the different musical world and each one of them sounds better than the other. There were several improvements in the cable and 3,5mm jack. Also, the in-line controls were redesigned to look smaller and more discreet. The only thing we mind about Momentum 2.0 is that they are quite expensive and they could have included the pouch in the package. One would usually mistake the high-fidelity headphones for these. Their large and solid build resembles of audiophile headphones instead of the bass ones. However, the outside look can easily trick us. JVC SZ2000 headphones have a lot to be looked upon. They weigh 1.1 pound (498 grams) which is pretty heavy for a headphone. However, this model will gladly find its’ place in monitoring studios and on DJ decks. Good news is that headphones can swivel between 90 and 180 degrees. Furthermore, you can easily fold them thanks to the hinges that are built in. That way, you don’t have to worry about their weight on the go. The manufacturer included a carrying pouch to make storing an easy beat. The headphones, unfortunately, have a shallow skin, synthetic leather which covers the ear pads and headband. It will be comfortable for a time. However, you can expect to feel hot or headachy after some time passed. The ear cushions of thin layers don’t promise the best sound isolation. However, they will sufficiently close down the noise. The sound is handled with a lot of detail and space. The bass, especially. Listening to the music via these headphones we concluded they are built to resemble of a loudspeaker at its’ best. The spacious, detailed, vivid sound and a trembling bass assured that every genre of music we listened was treated well. Given the not so durable build and lack of cushions in the ear pads, we can’t be that allured with the power of these headphones, at least not in this price range. But, we admire the manufacturer for hiding the greatly capable bass headphones inside of a high-fidelity headphone camouflage. V-MODA Crossfade M-100 is already familiar to us from the best audiophile headphones article. Being known for their tremendous bass, it is not surprising that the Crossfade M-100 fancies either balanced soundstage and a heavy bass. The over-ear headphone houses its’ components in a metal housing. It is sturdy and durable, and in case it is damaged, it is replaceable. The ear cups are large, but the model is not overly heavy. At 9.8 ounces (271 gram) it is still relatively lightweight for the daily use. Nonetheless, it is durable too and can put up with abuse for months and years. 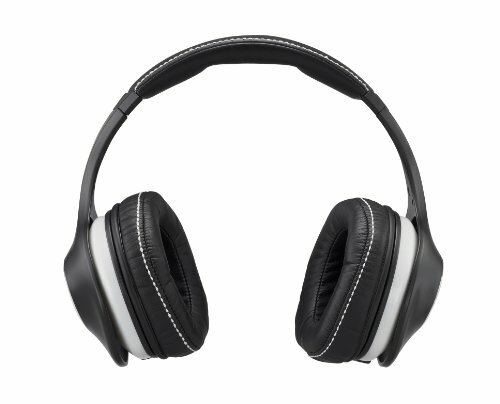 The faux-leather and memory foam cover the ear cups firmly, establishing the strong layer of cushions to protect your ears from the outside noise. Being closed-back, the headphones naturally cover the user’s ears, providing the passive noise isolation which is more than necessary and welcome in audio monitoring studios. 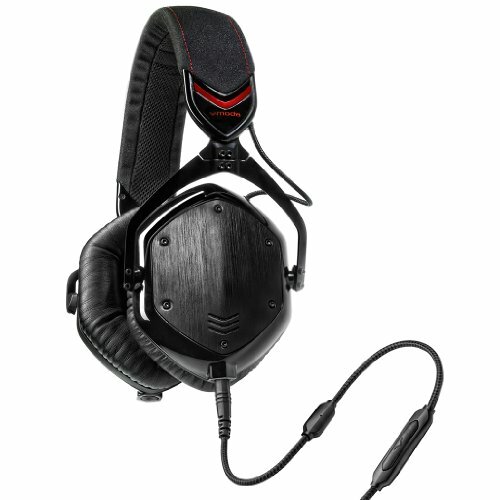 That being said, V-MODA Crossfade M-100 is a very versatile model of headphones. The manufacturer wanted to make sure that the consumers will experience the best out of these headphones, by providing two long cables with inline controls for either Android and Apple users. The inline controls, with included electronic, highly-sensitive microphone. We already mentioned that the soundstage of these headphones is amazingly accurate, but its’ bass is completely different story. It has the well-deserved title of one of the best bass headphones because of the stellar harmonic distortion-free, trembling and ground-shaking bass. The headphones will be amazing for every purpose, but its’ powerful bass, makes watching movies on it a charm. The dynamic and punchy bass is rarely a combination inside a high-fidelity headphone, even though the accent to the bass was manufacturer’s first intention. The headphones are overall, extremely charismatic and portable. You are allowed to choose from a different selection of textures. The only complaint we had is that they are quite expensive, then again, they are truly uncompromised. 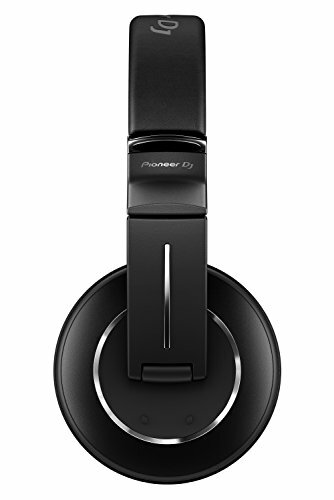 Pioneer Pro DJ HDJ-2000MKA2-K is the masterpiece among the high-end DJ headphones. A distinguished and stylish DJ should know how to make the difference between professionalism and mediocre, hence choosing headphones with high-accuracy to details and a tremendous bass shouldn’t be a problem for him. The design of HDJ-2000MK2-K doesn’t sport the “Look at me” attitude. Instead, its’ minimalist and robust design make it different than the others, in a very discreet way. They don’t scream for attention. Instead, the matte textures over the sturdy plastic body look excellent. The headphones swivel, rotating by amazing 90 degrees and once you don’t need to rotate them any longer, they will automatically return to their original shape. Being closed-back, there is a superior sound isolation in the memory foam padding on both ear cups. The monitoring will go flawless and whoever lay fingers on this beauty will be discreetly enjoying their favorite music. The comfort is as well uncompromised. The memory foam doesn’t heat easily causing the ears to sweat or burn. You can effortlessly listen to the music for hours without noticing the difference. This is merely surprising as the headphones weigh hefty 3 pounds (1360 grams). HDJ-2000MKA2-K delivers the uncompromised sound performance. No hissing or disruptions, yet clear, detailed, and even warm audio output surrounded our ears with high-fidelity sound and treble. The bass here is very strong and dynamic, exactly what the high-end headphone users are looking for the best bass headphones. See more: Best DJ Headphones – Top 10 DJ Closed-back headphones. There is a lengthy detachable cable, with a steady XLR-connector which prevents the easy detaching and thus damaging of the headphones. Overall, these headphones are worth having mainly if you are a professional musician. Headphones are quite expensive, and thus dedicated to those with the most delicate knowledge and passion for music. In this article, we focused on over-ear designs. However, it doesn’t hurt to mention that there are two other types of headphones which can possibly hold the room for a trembling bass. There are on-ear headphones and in-ear headphones, better known as earbuds. You can opt for each for several reasons. Earbuds are light, convenient, and can be used wherever you are. Additionally, no one will stare at you funnily, if you have huge and bulky headphones on your ears. The performance might not be as detailed, but they are ideal for outdoor activities, especially sport. On-ear headphones are good for students and general people who would like to enjoy the comfort and portability over other choices. Unfortunately, these models are also limited compared to the over-ear spacious and detailed sound. Over-ear headphones are usually bulky and less portable. Fortunately, they are used for a great variety of things. DJ-ing is just one of these things, but many audio experts refer to them in the monitoring audio studios thanks to the superb construction and sound isolation. Most of the humans can hear the sound ranging between 20Hz and 16,000Hz. With headphones, frequency plays an important part. The sound is more natural, and deeper when the headphones emit the lower frequency. On the other side, the sound is bloated and poor if the frequency is high. Bass has a range between 60 Hz and 250 Hz. This is the ideal width to start with, which adds the rhythm to the music. Headphones often can’t perceive this range, which usually results in poor bass reproduction. The frequency range is usually range, but the lower the frequency, the more rhythmic and dynamic the bass. You often hear that the headphone is equipped with 30mm, 40mm, or 50mm drivers for a punchier bass and more detailed music reproduction. There are several types of drivers. The largest driver is called woofer and smaller drivers are called tweeters which produce high-soundstage, while the midrange drivers are for the mids. If you are intending to work with these headphones on long-term, it is of fundamental importance to spring for the option with the most comfort corresponding to you. The construction should be durable too, mostly sturdy plastic with steel or aluminum accent on headband or hinges that help the headphones swivel or fold (for more portability). Comfort is achieved through the accents of leatherette and protein foam cushions to keep the ears covered and support the natural laying of the headband towards the head. It is worth pointing out that the pure leather should be avoided as it makes ears sweat and hot. This brings the Best Bass Headphones guide the end. Let us know which headphones do you like the most and which do you prefer bass headphones or high-fidelity headphones?